The Watchtower Society of Jehovah’s Witnesses claims that the date of Jerusalem’s destruction is 607 BC as opposed to the 587 bc – 586 bc stated by historians and expert archaeologists. The reason for the significance of 607 BC to the Jehovah’s Witnesses, is simply based on their cornerstone teaching of 1914. Jehovah’s Witnesses reflect on the multiple references in Daniel 4 which speak of seven times. They use a 360 day year, multiply it by 7 and get 2520. They take that number, add it to their 607 BC date, and choose 1914 as the year Jesus returned invisibly in the heavens. They believe such date to be accurate, and even used references to World War I in their early literature as proof that it was the beginning of the end. This came after they had predicted that Armageddon would happen in 1914, which was considered a failed prophesy. “But bear in mind that the end of 1914 is not the date for the beginning, but for the end of the time of trouble. For a full article on how Watchtower explains their understanding, go here briefly and then return to see the findings. A massive wakeup call to many Jehovah’s Witnesses is the finding of fact that Jerusalem was not destroyed in 607 BC as the Watchtower claims, but rather archaeology has determined the date to be 587 – 586 BC. This would not only debunk Watchtower’s 607 date, but also the 1914 date, and all subsequent teachings relating to the incorrect dates. 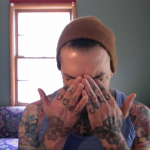 We can even find specific false statements made by Watchtower, as well as some that are extremely misleading. WHAT DID ARCHAEOLOGISTS FIND FROM 587-586 BC? The word “Tel” is large mound or giant hill which consists of many “layers” of historic ruins underneath the surface. Periods passed and new places would be built on top of old ones. Archaeologists dig in these ruins to uncover information about particular eras, going further and further beneath the surface. The deeper the dig, the earlier the era of ruins or artifacts that can be found. 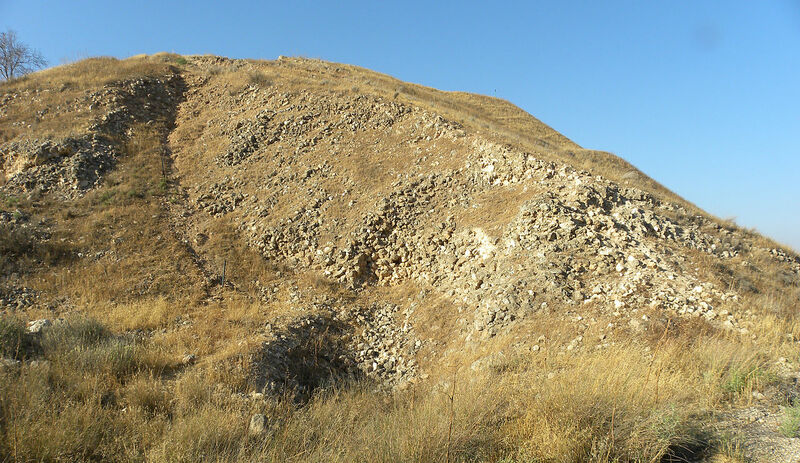 “Tel Lachish” (pronounced luh-kēsh) is also known as Tell ed-Duweir. Lachish was a city in Jerusalem that was occupied as early as 4500 BC. 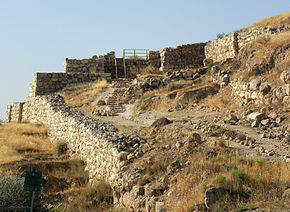 Tel Lachish was basically a fort with walls and gates and a royal palace in the center. At the site, archaeologists dug into the Assyrian battle layer, where thousands of arrowheads were found on the siege ramp, and about 1500 skulls were also found in a cave. The dirt ramp built by the Assyrians allowed for the soldiers to charge up into the city during battle. Near Lachish, there were outposts with stationed military officers who would report to the military commander at Lachish. Though it had been rebuilt previously, (hence, layers upon layers of the “Tel”) Babylonians under Nebuchadnezzar’s rule dominated Judah and destroyed Jerusalem (including Lachish) in the 7th century. Here is a full list of scriptures mentioning Lachish. 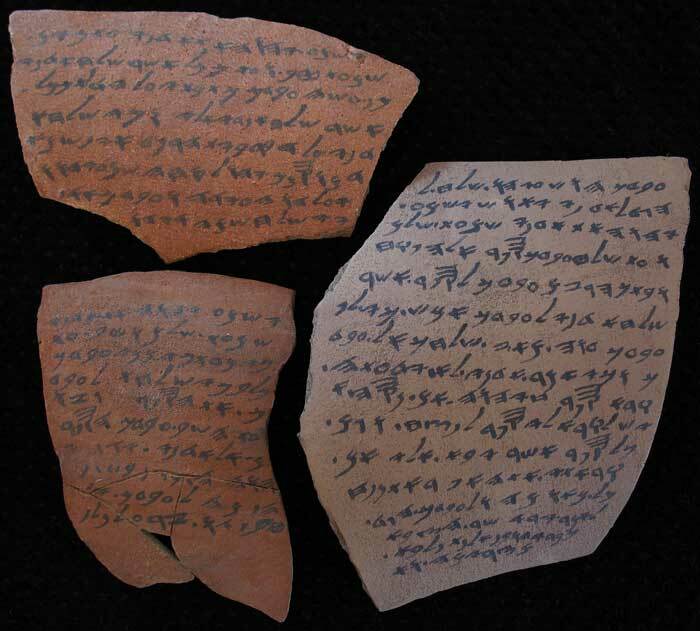 Ostraca is clay pottery which contained handwriting written in carbon ink. The ancient Hebrew handwriting found on the chunks of clay made up what’s referred to as the Lachish Letters, which were approximately 15 cm tall and 12 cm wide containing 21 lines of writing. 18 letters were found in a burnt layer of ashes by James Leslie Starkey in 1935 and 3 more were found in 1938. All were written in Paleo Hebrew script. Starkey was killed by Arabs however Olga Tufnell completed the research in 1958. Many of them are currently in London’s British Museum, and a few others are found at Rockefeller Museum in Jerusalem, Israel. Replicas of Lachish letters found written just prior to destruction of Jerusalem, dated just prior to 586 bc. WHERE WERE LACHISH LETTERS FOUND? Two of the Lachish Letters were found protected beneath the street at a main gate or guardhouse, layers below the surface. The letters didn’t burn because of the substance they were written on, but were found amongst ash. WHO WROTE THE LACHISH LETTERS AND WHAT DID THEY SAY? The Lachish Letters were written by a military officer named “Hoshaiah” to the military commander “lord Jaush”. He was describing what was going on in Judea at the time of battle, just prior to Jerusalem being destroyed by the Babylonians. When Archaeologists found the Lachish Letters, they set out to discover the messages written on the clay tablets. The Lachish Letters confirm what was written in the bible by the prophet Jeremiah in Jeremiah 34:67 (click scripture to briefly read). Dr. H. Torczyner, Bialik Professor of Hebrew in the University of Jerusalem, has critically examined and translated the text of the Lachish Letters. 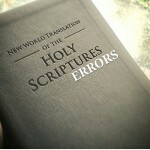 There are early and later translations, nearly identical. May YHW[H] cause my [lord] to hear, this very day, tidings of good. And now, according to everything which my lord has sent, this has your servant done. I wrote on the sheet according to everything which [you] sent [t]o me. And inasmuch as my lord sent to me concerning the matter of Bet Harapid, there is no one there. And as for Semakyahu, Semayahu took him and brought him up to the city. And your servant is not sending him there any[more —], but when morning comes round [—]. And may (my lord) be apprised that we are watching for the fire signals of Lachish according to all the signs which my lord has given, because we cannot see Azeqah. * An earlier translation of Lachish Letter IV says we are watching for the Lachish signal however the later renditions sayy “we are watching for the fire signals”. The First Temple Period is historically known to have ended in 587 BC. This is how accurately matched historians and archaeologist are on the fall of Jerusalem. The fall of Jerusalem marks the end of a period. In 597 BC, Nebuchadnezzar made Zedekiah the king of Judah at 21 years old. However Zedekiah had gone against Babylon and sided with Egypt, prompting Nebuchadnezzar to go after Judah, which started the siege of Jerusalem. 586 was the completion of the 11th year of Zedekiah’s reign. It was then that Nebuchadnezzar conquered Jerusalem breaking through the walls. On the final fall of Jerusalem, two prominent scholars disagree, with the difference of only 1 year: 587 BC vs 586 BC. William F. Albright dates the end of Zedekiah’s reign to 587 BC, while Edwin R. Theile dates it to 586. Nonetheless, using Judah’s Tishri-based calendar, putting together chronology and lining it up with scriptures that speak of the length of time of kings who reigned, and compiling archaeological data and artifacts, there is no doubt amongst the world’s finest scholars that the fall of Jerusalem was 587 BC – 586 BC. It is known that the Lacish letters were found in burnt ash. Unbeknownst to Watchtower, Archaeologists have found that flaming torches were used in battle, and even thrown at siege machines stationed at the top of siege ramps. A bloody and gruesome war took place. Arrow heads were found bent, showing the vigorous fight, as well as tennis ball sized musket balls. Fire was used to kill, and not necessarily by “burning it down”, but rather as weapons. Does the bible need to state that Joshua himself used fire to burn the city that had even already been previously burned? Did the bible mention arrowheads and musket balls? Fact: In an effort to counter the siege ramp, a second ramp was created where piles of debris and former ruins were dumped in order to build up the ground. This means ruins could have been piled amidst ruins. At the ruined city gate, the Lacish letters were found under the destruction debris. Of course it could’ve caught fire, and of course it could’ve burned. 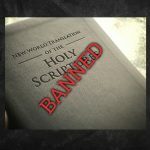 None of the above is dependant on scriptures cited by Watchtower used in attempts to trick readers. 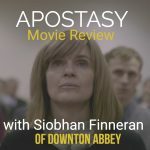 The Watchtower’s goal is to stay on 607 bc as their date and use any means necessary to dupe the reader into staying focused on the false 607 date. No proof is offered by Watchtower. No archaeological digs have been performed by Watchtower. Yet they have used and they continue to use weak statements to so easily trick the minds of millions of JWs over the last hundred years. They will go so far as to say most likely, that all of the world’s archaeologists who devoted decades to digs, are demonic. Why else would they disagree with Watchtower? The purpose of digging through “levels” of debris is to find artifacts attached to eras. In this Lachish location, inscribed jars were even found suspected of storing trade goods. Hence, the proper dating is obtained by expert archaeologists who are familiar with the various levels and eras. 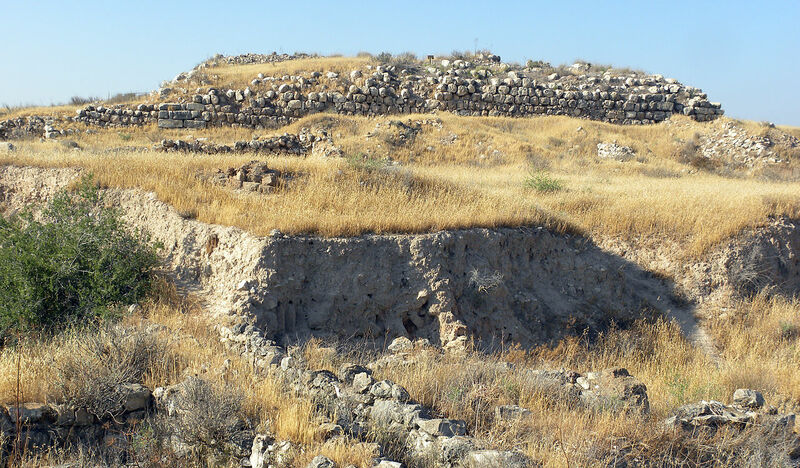 No archaeologists can be found in this research that argue any of these points regarding Lachish. In fact, an elderly man who was present on an archeological dig in Lacish explains the layout. Watch the video to get a first hand look and imagine the battle at Lacish. See the location where letters were dated to just prior to 586 bc; speaking of the Lord, speaking of the trouble at hand and giving evidence to one of the most important events in biblical history.